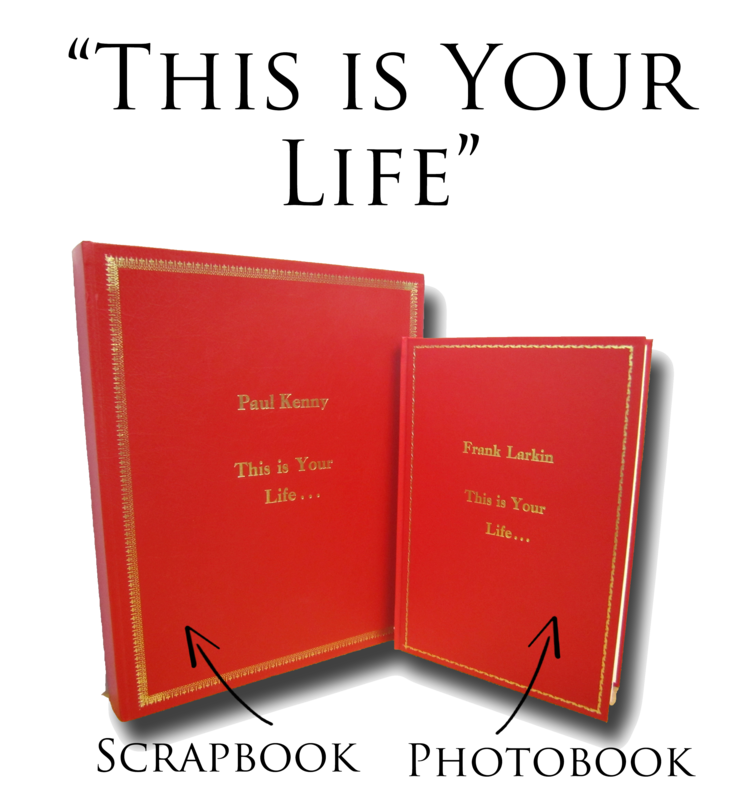 Choose from two different styles of "This is Your Life" books. A scrapbook in which the pages are blank for you to attach your own photos and text pages yourself. 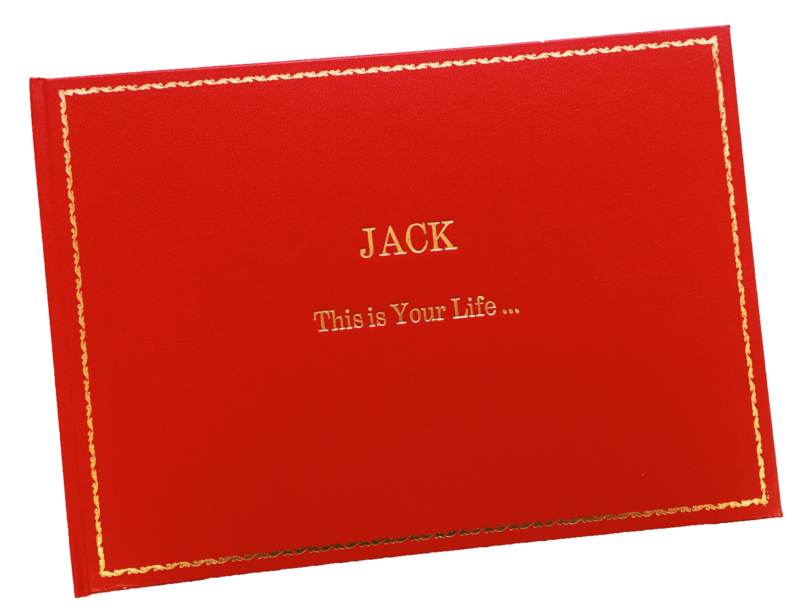 We use cream card for this binding which is thread sewn by hand. Every second page in this type of binding is a short page so that when you fill it up with photos/clippings the book does not bulge thus giving you a strong flat finished product. Each page will hold an A4 size page with comfort or multiple photos. You can use photo corners to hold the items in place or you can attach them with a prit-stick type glue for a more permanent result. You can e-mail us your required text to be gold stamped on the front cover to suit your requirements. The album measures 36 x 29 cms and includes 56 pages. Delivery can be arranged if required. €15.00 for signed courier carriage within Ireland, please contact us for international delivery prices. A hardback book in which the pages are printed and bound to your requirements. There are three options you can choose for the hardback book. a) Print the pages yourself. Then, simply bring the printed pages into our workshop or post them to us, and we will then bind the pages into a beautifully hardbound book, to your requirements. b) Have us print it for you. Simply email us the file in PDF format for printing, or bring it into us on USB key or Disc, and we will then bind the pages into a beautifully hardbound book, to your requirements.